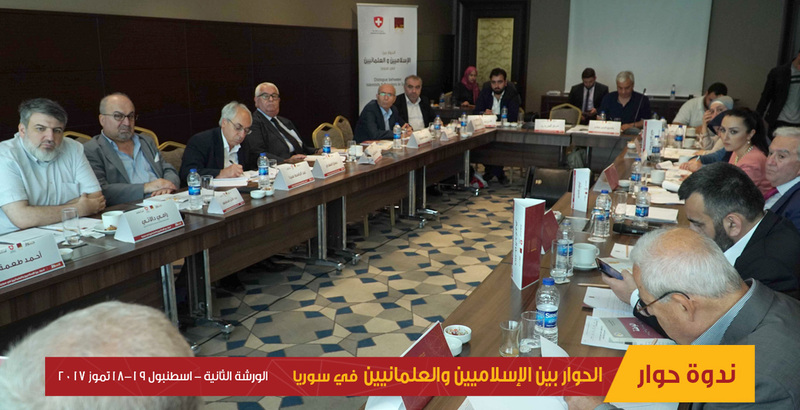 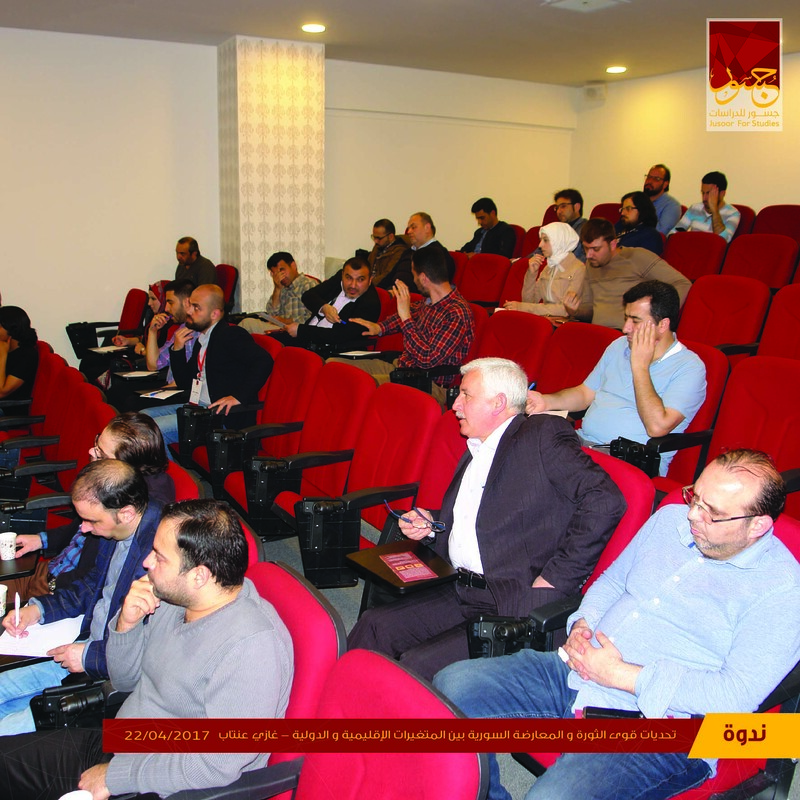 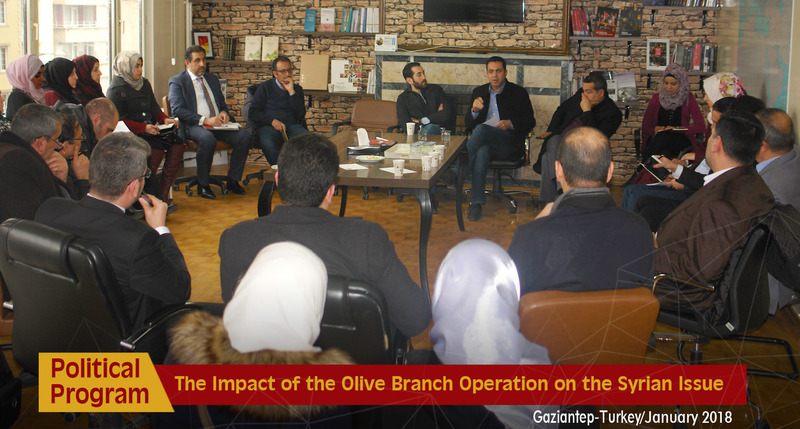 On January 26, 2018, Jusoor for Studies Center conducted a dialogue session entitled "The Impact of the Olive Branch Operation on the Syrian Issue" in Gaziantep city; and Mr Mehmet Ali Emin Oğlu a Turkish expert in the political issue along with two political characters Mr. Ayman Abu Hashem and Shams Al-Din Hamo attended the session. 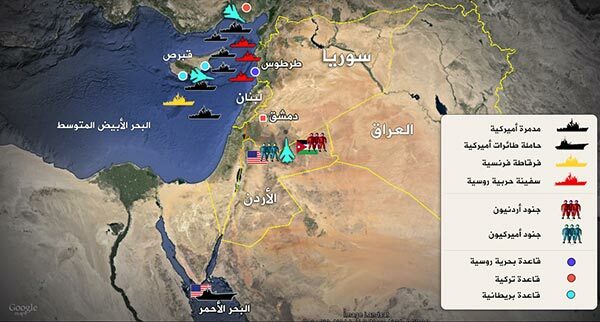 The objectives of the Olive Branch military operation were discussed in addition to its challenges and risks that may encounter. 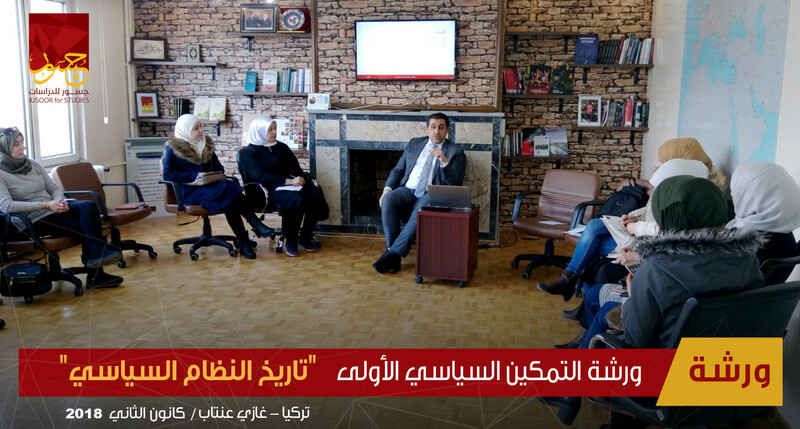 Further, the impact of this operation on the Syrian revolution was also discussed, and the session focused on the geographical and political nature of Afrin alongside the expected outcomes of the Olive branch operation.